God has convinced us that foreign missions work is "Home Church Work." The following section reflects the purpose of Cornerstone Baptist Church and our simple strategy to reach the lost in Uganda. 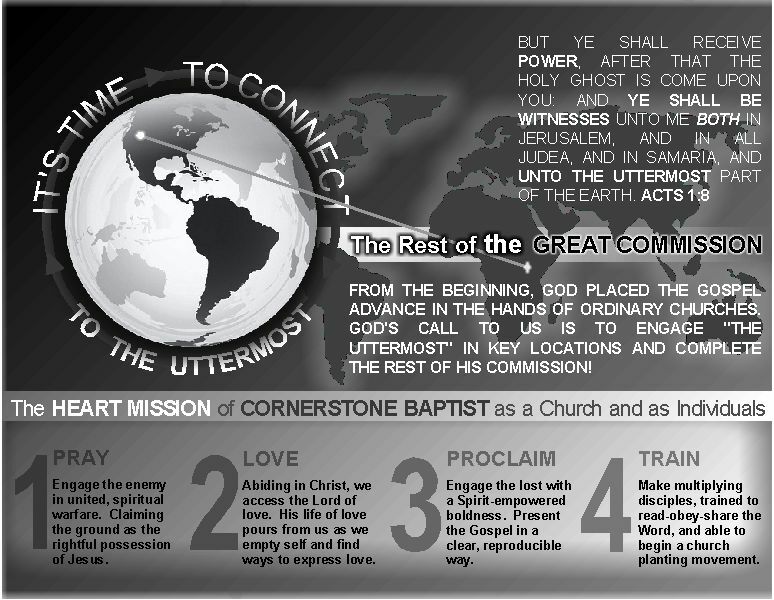 The battle-cry of Cornerstone Baptist Church is "It's time to connect to the uttermost." As we go to Uganda, we carry the whole church as well as the church vision with us. I want to recommend unto you Phil and Christine Prettyman. They have been called by God to serve in the African country of Uganda. I have known the Prettyman family for fifteen years. Those first ten years Bro. Prettyman was an Evangelist traveling throughout the United States. Cornerstone Baptist Church was one of the churches blessed by their ministry. Bro. Prettyman has preached revival meetings nearly every year at Cornerstone Baptist since then with many lives being changed and souls coming to know Jesus Christ as their Savior. The last five years Bro. Prettyman and his family have been members of Cornerstone Baptist Church. During that time this family has been involved in church planting in Wyoming and evangelistic work throughout our country. Bro. Prettyman has taken two trips to Uganda. During those trips he has preached at the youth camp held at Victory Baptist Church in Arua, Uganda, as well as being a part of an outreach in the village of Omo. There is a great need of men to go to this West Nile Region of Uganda. There are millions of people in need of hearing the gospel. There is a great need of churches to be planted in this area. This family is willing and ready to answer the call.Cornerstone Baptist Church recently finished Missions Conference 2015 with the theme It's Time to Connect to the Uttermost. Through this conference Cornerstone Baptist sensed the challenge to reach out to this region of our world so in need of the gospel light. Bro. 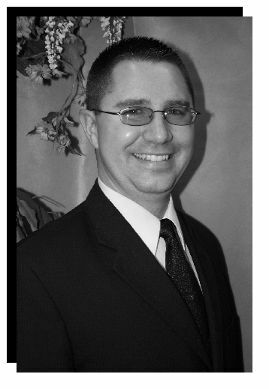 Prettyman and his family are just one of the ways in which Cornerstone Baptist is seeking to respond to God*s call. The last team from Cornerstone Baptist that went to Uganda in January of 2015 had the privilege of being a part of God's work in seeing many souls come to know Jesus Christ as their personal Savior. Many of those have already been baptized and are regularly attending local churches. There is a *great door and effectual* that has opened which we desire to step through. Will you help us? Thank you for taking the time to read this and prayerfully consider having the Prettyman*s come and present our ministry and need to your church. May God richly bless you as you serve Him.